Although the overriding premise of Ari Aster’s first feature, Hereditary, isn’t a particularly original one, the unfolding and execution of that premise is exceptional. When Ellen, the matriarch of the Graham family, passes away after a period of dementia, her daughter Annie (Toni Collette) is shocked at how little grief she feels. She reveals in her candid eulogy how her estranged mother excluded them all from her “secret rituals and secret friends,”. It also transpires that, after a period of separation, Annie allowed her mother back into her life, and was dismayed as grandma Ellen then proceeded to have an unconventional and domineering interest in granddaughter Charlie (Milly Shapiro). The family live in a large woodland home that looks like a designer dollhouse. This is apt, because Annie is an artist who creates tiny realistic and meticulously crafted dioramas of her life and experiences. An introductory shot at the beginning of the film zooms into a room in one of her little doll-houses, which then transforms into the real thing – her son’s actual bedroom. The family live in a house filled with dollhouses, which leaves us wondering whether these actual human beings may turn out to be as helpless as the tiny dummies in Annie’s unsettling installations. 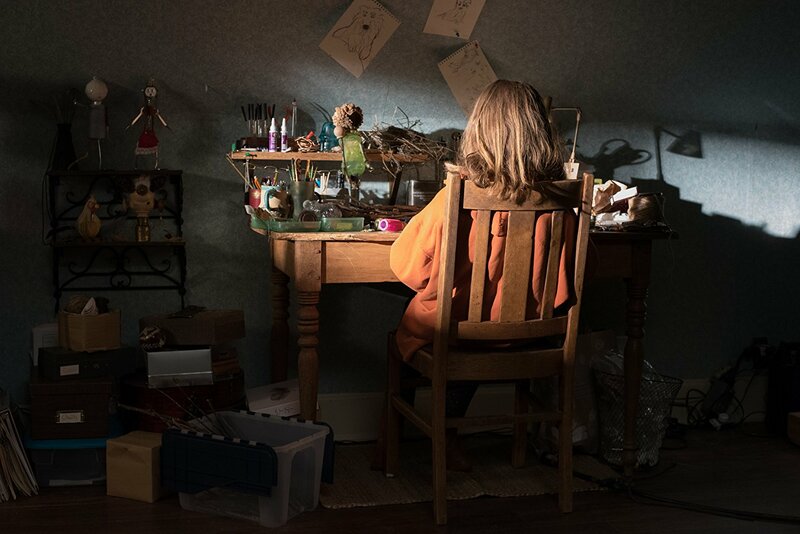 Like many clues that crop up in Hereditary, Annie’s tiny creations hint at something deeply unnatural which is slowly and insidiously creeping into their lives. An unnerving score by avant-garde saxophonist Colin Stetson establishes this feeling of disorientation and dread at the outset - something wicked this way comes, and signs are that it has long been festering. The film takes its time before unveiling its terrors. First, writer\director Ari Aster reveals the family dynamics. 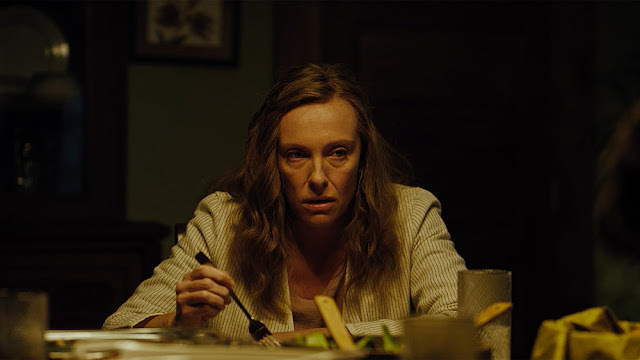 Many horror films treat their characters as flimsy, disposable victims of the plot and its monsters, the effectiveness and brilliance of Hereditary lies in Aster’s knowledge that we must be invested in this family and be anxious about them – and not only about their survival, but about their connection to each other. His script sets out to make us care for them. This catastrophe proves to be a catalyst, as Aster then piles on personal resentments, confrontations, confessions, and breakdowns - he envelops us in this family’s despair, grounding the coming horrors in emotion, which makes them all the more frightening and tragic. The genius of Hereditary is how it involves us in the trauma and raw emotions of its characters, and then uses our empathy to enhance the potency of its unnerving set pieces and devastating twists. The direction, cinematography, technical aspects, and music score are all excellent and contribute to the mood, but the film really rests on the talent of Toni Collette. Aster has given her a role which is impressively nuanced for this genre, and she plays it intensely and movingly. Her face, Medea-like, ranges from rage, to anguish, to bewilderment, to terror. She gives a fearless, riveting, operatic performance - connecting to her character’s sense of inadequacy, indignation, and violent suffering. Alex Wolff too, is affecting as the druggie teen who is ill-equipped to confront traumatic realities and indistinct terrors which leave him insecure, confused, and close to broken. Gabriel Byrne’s husband Steve is steadfast and stoic, yet vulnerable, staunchly trying to keep his family and its fragmenting sense of reality together. Grace Yun’s production design and Pawel Pogorzelski’s cinematography create a dreamlike quality to the Utah landscape, and the interior compositions create rooms which echo those in Annie’s dollhouse dioramas. Ari Aster may have gleaned inspiration from classic horrors such as Don’t Look Now and Rosemary’s Baby, in their sense of foreboding and conspiracy, Aster himself, at a post-screening Q&A, admitted that he drew, at least partially, on his own need to process a series of disasters that affected his own family, and the way they navigated a feeling of being cursed. He continues to do so as he works on his current project, another film in the horror genre, although he stressed that he would like to expand into other categories of film in the future. 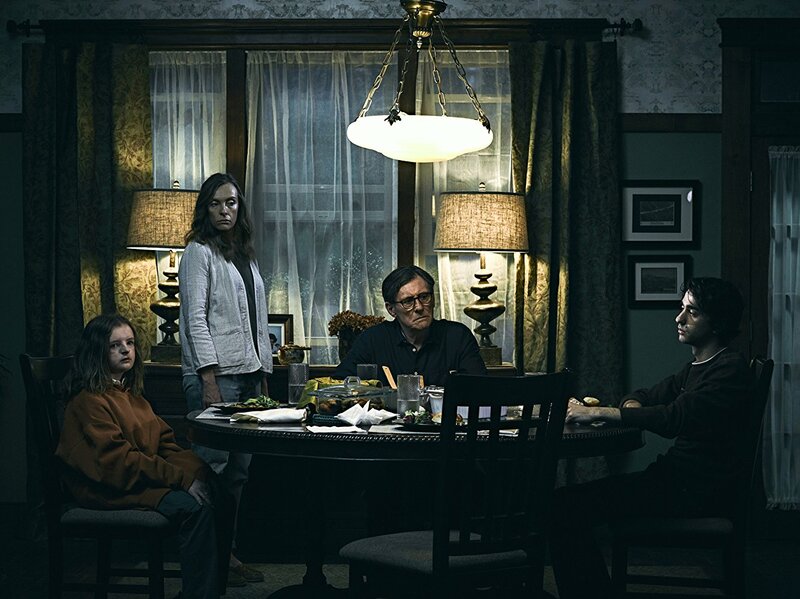 As a horror film Hereditary has the great advantage of being unusually well written, well-acted and well edited. 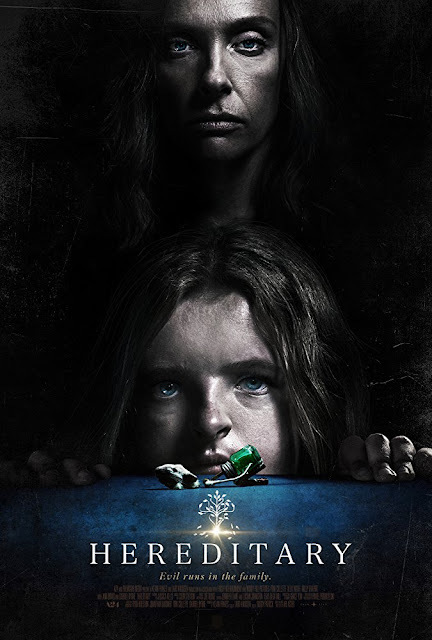 On this evidence, it would seem that Aster has the capability to tackle any genre, as it would also be accurate to describe Hereditary as a tough, family melodrama or a deft character study - a well-developed narrative which happens to have thoughtfully presented and skilfully staged horror elements. Whichever way one chooses to see it, Hereditary is top-notch filmmaking, a remarkably assured and accomplished first feature, and I for one, am keen to see what Ari Aster has to offer in his next project.